Holy time machine! Between Thanksgiving, Christmas and now it’s past New Years I feel like I’ve been in a time warp for the past month and a half! I started two new jobs, doubled my concept of what a “long run” is, got back in the pool and am gearing up for the next big celebration following New Years. WHAT?! You ask?! Martin Luther King Jr Day isn’t really a big celebration day, rather a day of remembrance… RIGHT, I know! A few days after we remember Dr. King we celebrate the day of my birth. January 18th, mark your calendars folks, with a big star, heart or whatever symbol reminds you of me the best… just don’t forget it! But before we talk about my birthday, we have to talk about Christmas. I know, I know, that was sooooooo 2011, but I want to share what I gave my family. Being the poor, no-longer-a-college-student-but-still-cheap-like-one kind of lifestyle I am currently living I sent my mother and my father and gave my brother a homemade card, it was made with a lot of love and a lot of Modge Podge. The card wasn’t really the present, the present was what was written on the back and on each card I wrote: I’m giving the gift of inspiration and support. And promised to find a race and train (from afar) with each family member. A half-marathon with my Dad, raising money and going on an epic adventure with Team Athena and my Mother, my brother and I still haven’t figured out what race, but something awesome to come I’m sure. Right now, for me, life is about the connections, the commitments we make to ourselves and to the people we love. I want to embrace what I love to do and spread the knowledge I have, I want to inspire and continue to be inspired by the awesome people I surround myself with. Since moving west I’ve been in awe at the athletes I see everyday, inspired by their love of sport, the outdoors and healthy lives. The fresh air, the sunshine and the sacred conversations we have on the trail are enough to keep me running every day. If you do nothing else today, tomorrow, the rest of the week take a step outside (even if there’s a foot of snow) and breathe in the air, remember your lungs, fill them, feel your body and what it is capable of. 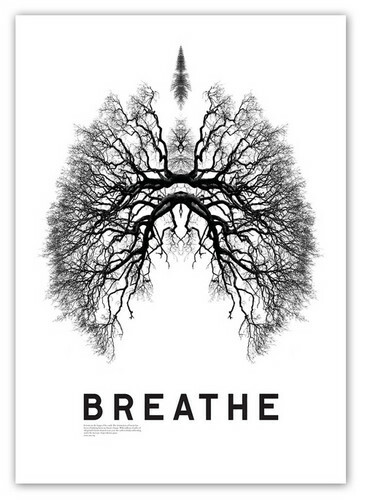 Our bodies are incredible machines and I think we sometimes forget that, so take a moment every day to collect your thoughts, slow down and breathe deeply.